The Caribe is situated along a pristine and undeveloped coastline, the stunning views of sugar-white sands and sparkling emerald waters are simply breathtaking. 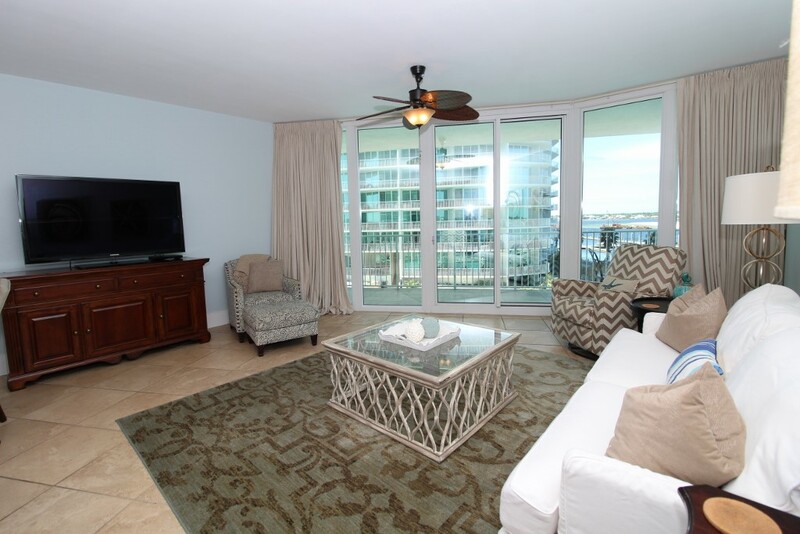 The wrap-around balcony overlooking the Gulf and Intercoastal waters offers plenty of seating and space, so you'll be able to enjoy your morning coffee, dine al fresco or sip your favorite cocktail while enjoying the coastal breeze and the soothing sounds of the surf! This one-of-a-kind resort has more pools and slides than any other on the island! This gorgeous resort offers over 40,000 sq. feet of pools, lazy rivers, five star restaraunt on-site, putting greens, fitness centers, and boat docks! If you demand luxury and comfort, our gorgeous Caribe unit will exceed your expectations.